Last week saw the staging of the WBT Premier League Bowls event with the tournament being staged on an outdoor rink for the first time ever in the luxurious Athena Beach Hotel in Paphos, Cyprus. The three-day event included six of the best players in the world and Henselite UK sponsored players Alex Marshall MBE, Paul Foster, Greg Harlow and Ian Bond were all involved using their Henselite Tigers. 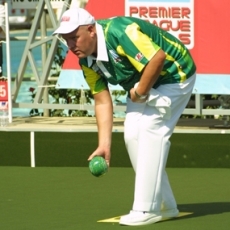 It was Marshall who dominated the league phase by winning four of his five games, an achievement that saw him fast-tracked into the final where he would face Englishman Mervyn King. King came third in the table and had to battle through two extra matches which he did with victories over Marshall's Henselite stablemates Paul Foster (6-1, 0-7, 1-0) and Greg Harlow (6-2, 9-0). It was King who went onto lift the trophy after edging out Marshall in a dramatic one-end tie-break after the pair had won one set each in the regular match.